Hi everyone! Hope you are all having a great week. Not only did we get our first snow of the season this week, I had my first snow-in day. Yep, I stayed home yesterday with my baby boy. We listened to Christmas songs and kiddie rhymes. He loves music / sounds and he is gradually taking over our IPads with his sing along songs. The current outfit post references my prior post on “shades of grey” trend, which highlights how you can combine similar shades or mix it up different color tones or prints. 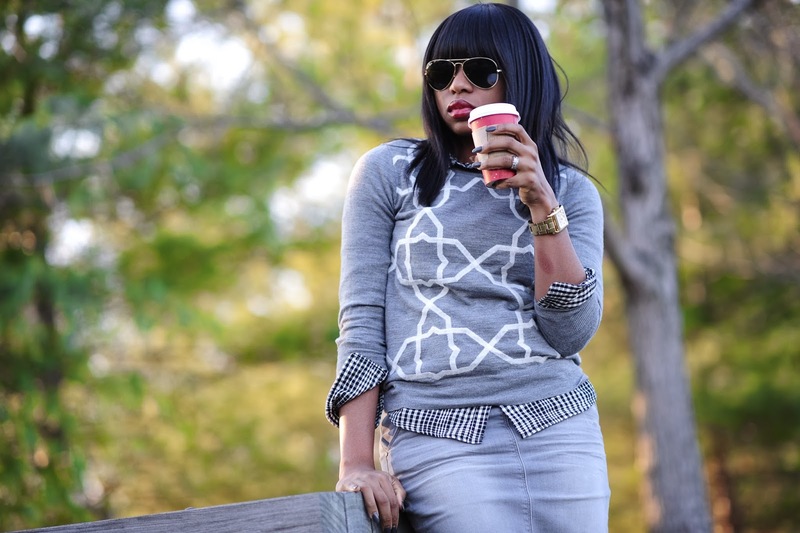 For this outfit, I incorporated my Target check shirt with shades of grey. 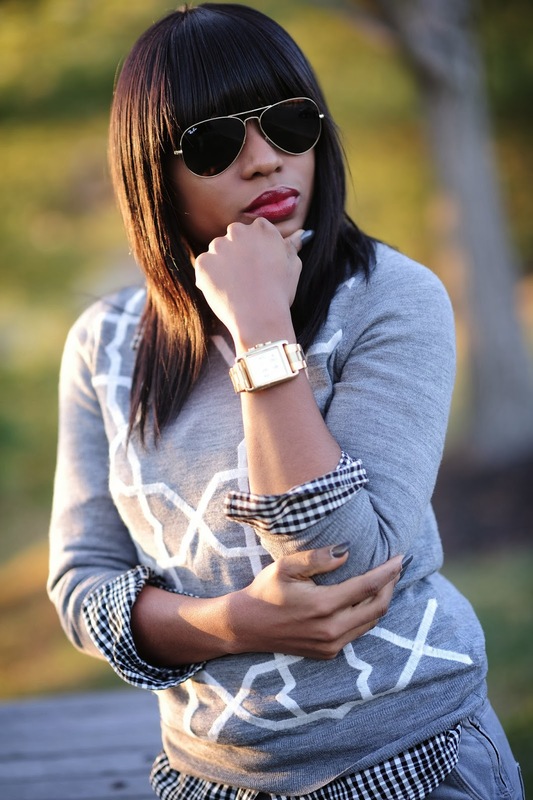 Adding a black and white check print gives a unique touch to the look without taking away from the overall outfit. A great way to spice up a monochrome work style without drawing much attention is to incorporate prints with similar color tones. Gorgeous as always! love the graphics on the jumper. You look very chic as usual ! 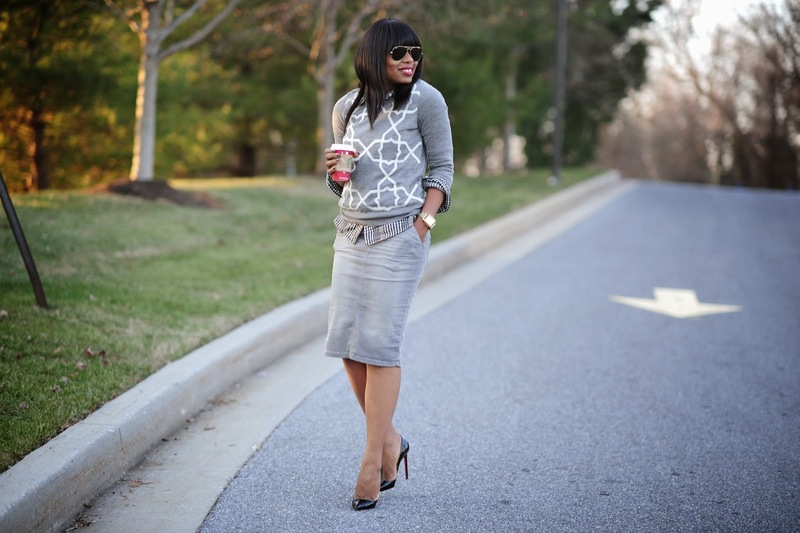 so chic love all the shades of grey! Never thot all grey would look this good! You make anything work! Love! I absolutely love this combo! so chic! 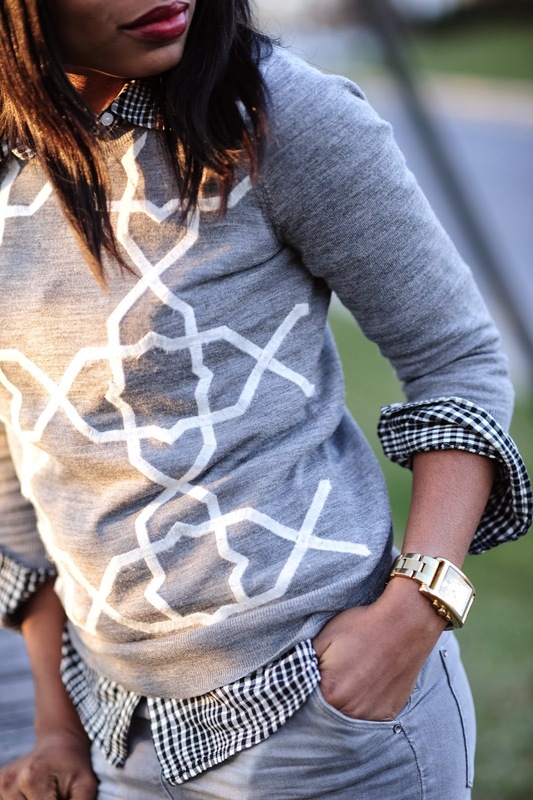 I am LOVING the J.Crew sweater!!! !